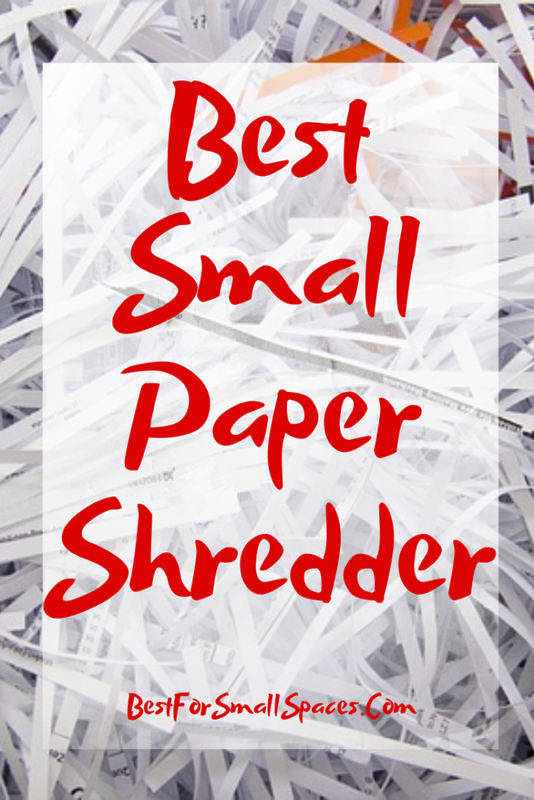 February 2, 2019 0 comments on "Best Small Paper Shredder Reviews 2019"
Thinking of tossing out your old bank and credit card statements? You might want to think again. Dumping them in the bin may not be the wisest thing to do. In case you don’t know, credit thieves today go as far as looking through garbage just to get personal information. Of course, we don’t want our personal information to get anywhere near these people. And this is where a paper shredder comes to the rescue. Paper shredders are an important staple for businesses and homes alike. We are now in this age of identity theft, throwing away any sensitive documents or papers with your personal name, address, bank information or any other type of personal information can put you into harm. So to keep yourself protected, I have listed down below the best small paper shredder according to your needs. If you want to know what products made it to the list, then please keep on reading below. If you are looking for a standard, all-round paper shredder, Fellowes Powershred 79Ci is all you will ever need. 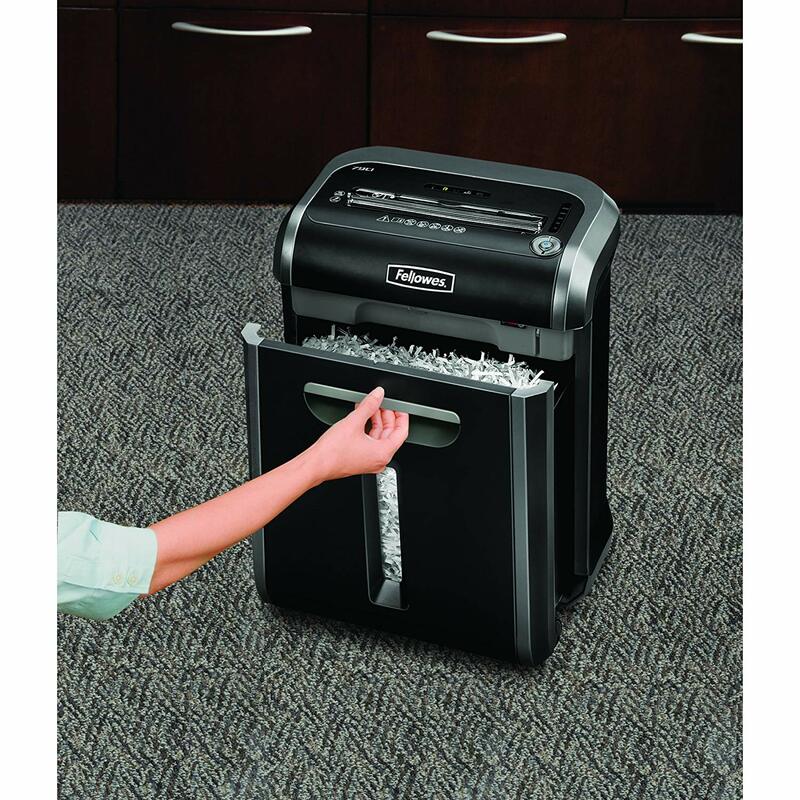 This is a reliable paper cross-cut shredder both for small office or home use. It can shred at a rated speed of 10 feet per minute and can continuously work for 20 minutes before it needs to cool down (for 30 minutes); this means it can tear 140 sheets of paper per minute. 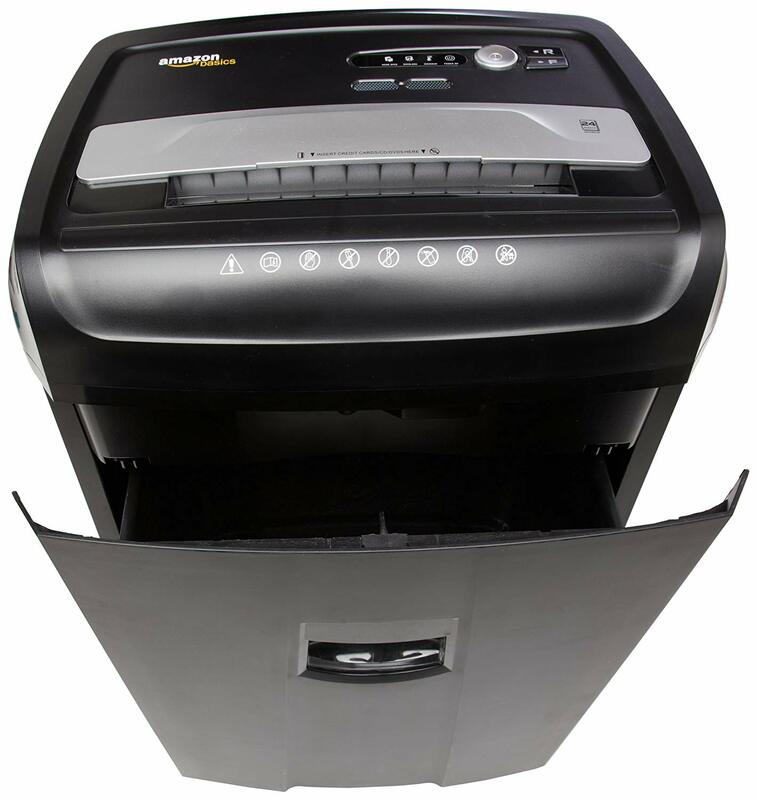 In addition to confidential documents, you can also shred credit cards, CDs and DVDs in this shredder to ensure your information is well protected. 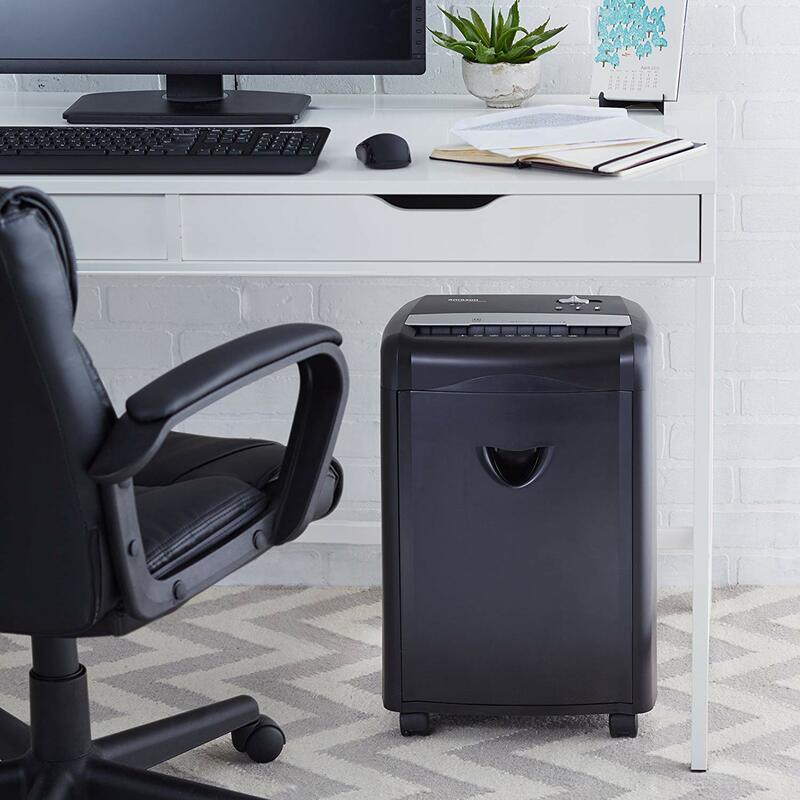 This shredder also operates pleasantly quiet, thanks to its SilentShred technology feature, it reduces disruption especially in a shared workspace. It also features SafeSense technology to make sure it is safe to use. The shredding slot is equipped with a sensor that turns off the blade just in case you will accidentally touch it. Though it seems impossible to get your finger into the shredding slot, this is a good feature and can give you peace of mind especially if you have small kids running around. This machine is also equipped with several indicators. For instance, the light on top of the bin will alert you whenever the bin needs to be emptied, this will help you avoid confetti avalanche that could result from trying to empty the bin when it’s already overly full. There are also indicators whenever the bin is not in place or when the blades are turned on or when it starts to overheat. Physical controls are available sitting on top of the feed slot. It is composed of a button with a start icon as well as a forward button and a reverse button. The pull-out bin has a 6-gallon capacity which is large enough to make the most of the shredder’s speed. This shredder is 100% Jam Proof. It will auto-stop and reverse if there’s too much paper inserted into the entry throat. 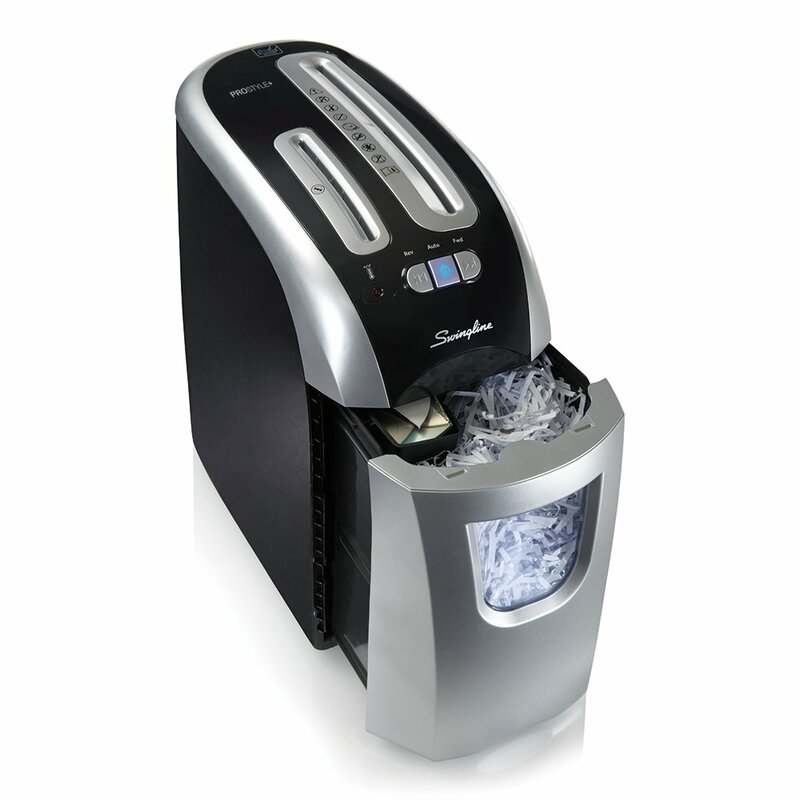 Fellowes Powershred 79Ci has all the features you’d hope for in a high capacity shredder. It is definitely an easy to use cross-cut shredder and works at an excellent speed, making it a good addition to any small office or household. Even though a regular paper shredder works just fine for several tasks and different uses, there are some jobs that demand a heavy duty paper shredder. So if you’re looking for something that can shred large volumes of documents on regular basis, then you need to consider Bonsai EverShred C149-C. This cross-cut shredder is one of the leading heavy-duty paper shredders. But what’s impressive is that it uses the Bonsaii patented cooling system that allows this shredder to have continuous use for 60 minutes with only a ten minute cool down period needed. It has a steady airflow to make sure the motor will not overheat during continuous use. I’m sure your productivity levels will skyrocket. It also has a high capacity and can shred as many as 18 sheets of paper at once. 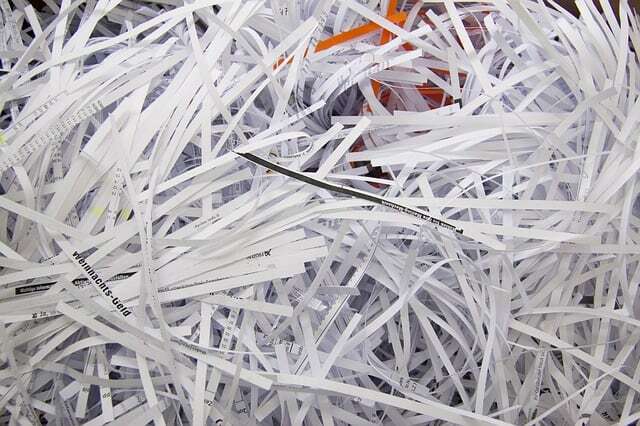 In addition to confidential documents, you can also shred CDs, credit cards as well as paper clips and staples. It produced shred pieces measuring ¼ inches by 1-23/50 inches that even a professional con-artist will find impossible to decipher. This shredder can do its job without making the entire office’s ears hurt. It has a noise level of 62 dB, so this will sound just like an air conditioning unit at 100 feet or a conversation in a restaurant. You can get your job done without being a nuisance to anyone. It has a Jam Protection System that will help maximize your productivity. It has an automatic reverse function to prevent paper from getting stuck so you can continue working happily. Thanks to its 4 casters under each of its four corners, you can conveniently move this shredder around. You can effortlessly push this machine from one office to another or wheel it to the waste disposal area. So to make sure there will be a strong level of security to your confidential documents, this Amazing Heavy-Duty Paper Shredder will definitely be your new best friend. The stylish and compact design of this super cross-cut shredder can be a great addition to every home, plus it has a budget-friendly price also. As we know from its name, it delivers cross-cut shred style to meet your day-to-day security needs. Though it is specially designed for light-duty use, it will shred up to 14 sheets in a single go. In addition to paper, it also shreds paper clips, credit cards, CDs and DVDs through a separate cutter, this will help prevent damage to the main cutters, extending the shredder’s life. It also comes with a modest duty cycle at 20 minutes of continuous shredding and also features a tiny pull-out bin, but don’t underestimate this little thing, it is capable of storing more paper than you might expect. It comes with a control switch that can be toggled between on/automatic, forward and reverse. It is also very user-friendly. It comes with a cool-down indicator that will tell you when it is resting and when it is ready. This Super Cross-Cut Shredder is a small affordable model that is more efficient than most similar shredders. It is an excellent fit for your home use. To shred confidential office documents, I recommend buying a reliable and professional paper shredder like this cross-cut shredder from AmazonBasics. This 24-sheet shredder will not disappoint you. It can destroy a lot of paper within just a few minutes. Plus, it can shred paper into tiny bits of 7/32 by 1-27/32 inches strips. 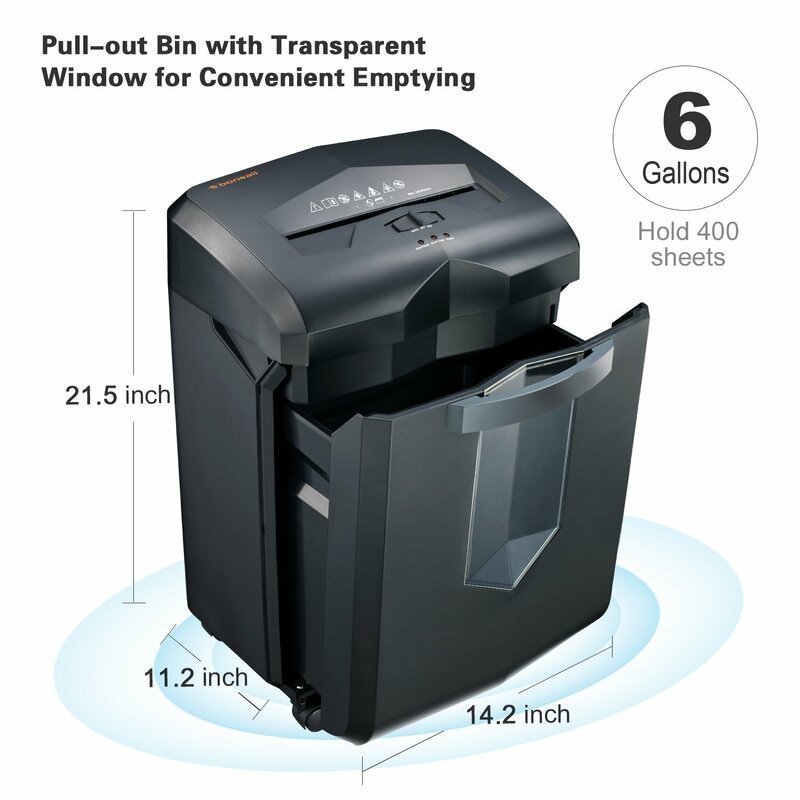 No matter how much paper you need to shred, this product is up for the job with its 25-minute continuous run time before it requires a 60-minute cool down period. You don’t have to worry that this machine will get damaged due to overheating. But what impressed me the most is how it can handle heavy production of paper waste with its 7-gallon pull-out bin so you can conveniently dispose shredded papers; this is about 270 sheets of shredded paper. This means the amount of time you spend to stop just to empty the bin will be minimized. It comes with LED indicators to let you know of overloading, overheating, door open and standby mode. It uses sensors that detect paper and begins working, it also stays idle when it detects no paper. It comes with automatic reverse technology that helps minimize and even clear paper jams while working. There is also lip guard that prevents any fingers to get into the blades as well as any shards that might fly out. It is very portable too, you can easily move it around with its smooth-rolling wheels. And with its compact design, you will not have any trouble rolling this shredder under any office desk. Overall, this AmazonBasics Cross-Cut Shredder will provide security to your small office. It is not only efficient in securing sensitive documents but also credit cards and Blu Rays, CDs and DVDs to make sure safe disposal of confidential information, just what every business owner wants for their business. Here’s another shredder from AmazonBasics. This micro-cut shredder is good value for money as it has some excellent features that you will normally find in much more expensive shredders. To begin with, it has an incredible cutting speed. It has a speed rating of 6 feet per minute and can thoroughly shred about 12 sheets of paper in a single go. This one’s definitely one of the most powerful that I’ve seen. Thanks to the shredder’s powerful and very solid stainless steel blades which not only shred a large number of sensitive documents but also paper clips, credit cards, CDs and DVDs. It will shred a single letter-sized piece of paper into about 2,235 nearly microscopic strips that it will be impossible to reconstruct it. Moreover, it comes with a high-capacity pull-out bin that can accommodate as much as 6.7 gallons of paper waste or approximately 600 sheets so there’s no need to empty it as often as other brands. Of course, there’s no shredder that is pleasant to listen to but this unit is one of the more bearable among the group. This shredder has a fairly tolerable low pitched sound when shredding. It comes with three light indicators that will tell you that the shredder is turned on if it is starting to overheat or needs to take a break. It has built-in auto start and manual reverse functions so you don’t have to worry whenever there’s a jam, it will fix itself. It uses an angled feeding system to make it safe to operate. Even if you accidentally insert your finger, it won’t be directly fed into the machine. The unit can be safely operated for eight continuous minutes and will require about 45 minutes before it is ready to go again. Though you might think that this is just a short run-time and a lengthy cool-down period, you can still save a lot of your precious time since it works twice as fast as similar models. Well, this is an absolutely beast of a machine. The effort it exerts in shredding paper into extra secure, teeny tiny bits is just amazing. And the best thing is, this Micro-Cut Small Paper Shredder offers top-notch security at a very reasonable price. Paper shredders come in all capacities, sizes and shapes. Choosing the right one up front will save a lot of money and time. So how do you choose the best shredder for you? I will walk you through the most important factors you need to consider. If you have a large volume of paper to dispose of, you need to consider the shredder’s speed and capacity. The speed rating comes in feet per minute and this will tell you how quickly it can run sheets through the shredder one by one. Check out the feeder capacity too, it will tell you the number of sheets you are allowed to feed in at once. Basic shredders can accommodate one to five pages at once while heavy-duty shredders can shred up to 10 to 20 pieces of paper at a time. Other features that a good paper shredder should have are crosscut shredding and jam-free operation features. Crosscut shredders cut strips into a much finer strip in a cross-sectional manner; the cross-cut shredded paper looks like confetti strips. This is important especially if you have plenty of confidential documents to get rid of as it provides better security compared to strip shredders that cut documents into long strips which can likely be put back together. But for highly confidential documents, you can opt for an advanced paper shredder with micro-cut shredding. And what’s even more annoying is wasting your time from all the clogs you can get. You might even spend more of your precious time clearing jams than you are actually shredding. So make sure your choice of paper shredder comes with a jam-free operation feature. The noise level of the paper shredder should also be considered, as it would not be pleasant to have a noisy shredder especially if you are in the middle of a small office where a number of people work. On average, paper shredders produce around 65 dB while shredding, this is similar to the sound of a washing machine. There are also two types of bins or containers: removable bins or bottom bins with a lift-off head. The bottom bin with lift-off head is the most common one where the shredder is sitting on the bin’s top. You need to remove the head or the shredder part in order to empty the bin. Though it is workable, it is not the most convenient. Imagine shredding a large batch of documents and you have to remove and return the top every time you clean the bin, wouldn’t it be annoying? Worse of all, there’s also a risk of making a mess when you tip over the shredder by accident when it is jam-packed with shredded paper. Paper shredders with a removable bucket or pull-out bin is much more convenient. All the paper parts will be collected by the bin and once the bin gets full, all you have to do is pull the bin out to empty it. If you would like to see some Small Home Printer Reviews suitable for home offices then follow the link. Whether they are unwanted magazines, old paperwork, sensitive documents or whatever type of paper waste that has been accumulating in your office, a paper shredder is the best way to destroy them. Plus, it’s the best way to take the necessary precautions in protecting your personal and financial information against identity thieves. So go ahead and make sure you are properly discarding all the important documents with one of the Best Small Paper Shredder I’ve mentioned above.